Results in Montenegro’s general election are pointing to a win for Prime Minister Milo Djukanovic and his pro-Western, Democratic Party of Socialists. (DPS) But he appears to have fallen short of a majority with just 40% of votes and a coalition is on the cards. With 80 percent of votes counted the main opposition party, the pro-Russian Democratic Front Alliance, is in second place with 20 percent. Election-day tensions in the former Yugoslavian republic were heightened after the arrest on Saturday night of a group of Serbs suspected of planning armed attacks against state institutions. Montenegro media has reported that former Serbian Gendarmerie commander Bratislav Dikic was among the arrested. His detention was confirmed by Montenegro’s Interior Minister Goran Danilovic. 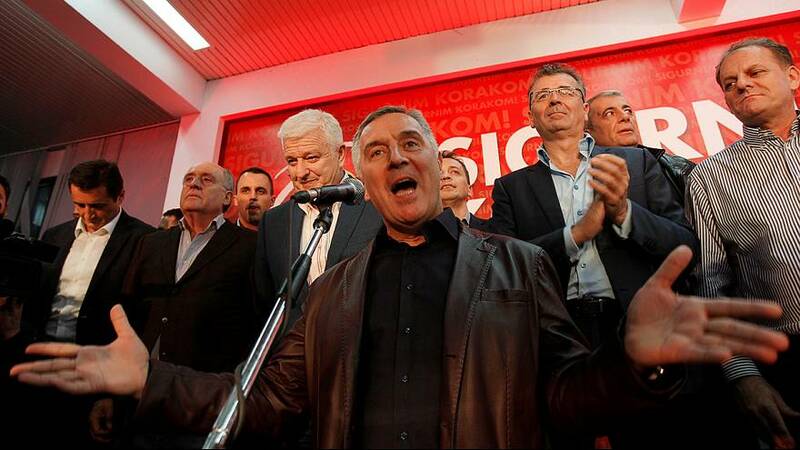 But opposition Democratic Front leader Andrija Mandic said the announcement was “gross propaganda”. Meanwhile Serbia’s Prime Minister Aleksander Vucic was reluctant to comment on the detentions but did say he thought the whole situation was strange and that the former Gendarmerie commander had been retired for some time. Montenegro is a deeply divide country. The election had been billed by the prime minister as a choice between becoming an EU and NATO member or a “Russian colony”. Many Montenegrins are unhappy that Djukanovic is taking the country into NATO. They remain angry that NATO bombed Serbia and Montenegro in 1999 as part of a strategy to halt the killing and expulsion of ethnic Albanians in Serbia’s then southern province of Kosovo.